I live and work in Rockport, Maine, a small town on the central coast. Except for a week in late September (when I try to take an annual birding trip to Monhegan Island), I’ve hiked Beech Hilla Coastal Mountains Land Trust preserve with an unmatched viewevery day with my dog, Captain Jack. The hike is the main thing, but I always bring along a camera and take a few photos of birds (if possible), landscapes, and other natural subjects that catch my eye. After posting these in my Facebook galleries for the past few years, I had several friends begin pestering me to offer some of the better photos for sale as fine art prints. Well, I’ve finally decided to do it and see what happens. 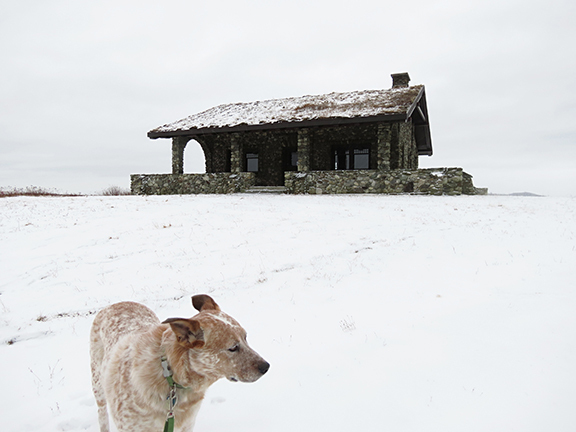 For now, I’m offering a small selection of prints in four categories: birds, other natural subjects, abstractsand Beech Nut, which recently (2014) celebrated the 100th anniversary of the eponymous stone hut perched atop Beech Hill Preserve. What you see here are some of the most popular photos with friends, along with a couple of personal favorites. All but a handful of these photos were taken at Beech Hill. My cameras aren’t the most expensive or highly touted by professional photographers, but they seem to do the trick. Being most obsessed with bird photography, I’ve had several super-zooms over the years. Currently, I’m using a Canon PowerShot SX50 HS, a 12.1-megapixel camera that provides nice, sharp images at maximum zoom and great resolution in all but low-light situations. My printer is an Epson Stylus® Pro 3880, which offers gallery-quality output with its MicroPiezo print head and eight-color pigment set, and I absolutely love this thing. I’m offering signed, numbered 17" x 22" prints (14.25" x 19" image size) in a limited edition of 25, as well as open-edition prints on 13" x 19" (11.25" x 15" image size) and 8.5" x 11" (6" x 8" image size) paper. For the larger prints, I’m using Hahnemühle William Turner Matt Fine Art Paper (310 GSM), which gives a gorgeous painterly effect; the smallest prints are made on Hahnemühle’s impressive (and popular) Photo Rag Fine Art Paper (308 GSM). Please note: the watermarks ("©Three Islands Press") you see here of course do not appear on the final prints.